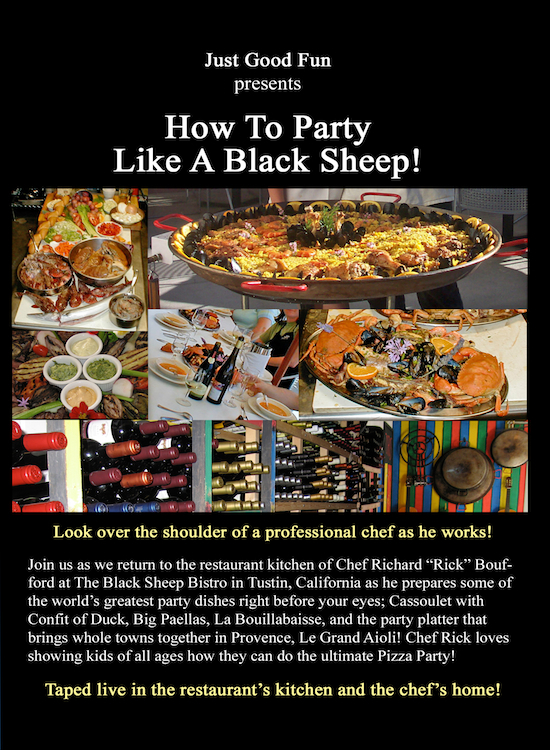 "Party Like A Black Sheep"
The ultimate party time Cookbook! La Grand Aioli, Big Paellas and a Pizza Party for the kids! Get it at our E-Store! Click here to see the back cover!